Israelis are always looking for adventures. The country’s varied topography, coupled with great weather year round, make Israel an extreme-sports destination And the cornucopia of adrenaline-filled activities is not only for adults. Israel is a haven for the younger generation of adventure-seeking, extreme-sports nuts. The unwritten rule in Israel is that if you haven’t done something extreme, you haven’t been on vacation. From ice skating to kite surfing, alpine slide rides to off-road biking, bungee trampolines to dune-buggy rides, horse trekking to climbing walls, there are dozens of thrills waiting to be had. 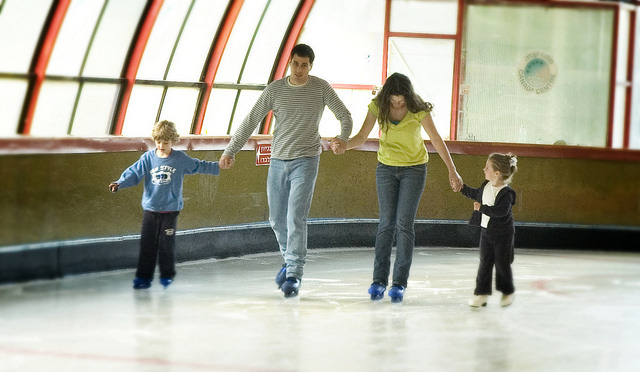 Families love skating at the Canada Center. Starting up north in Metulla, the Canada Center keeps visitors and residents of this picturesque town entertained with a handful of extreme options including Israel’s first Olympic-size ice rink – there’s another in Eilat. 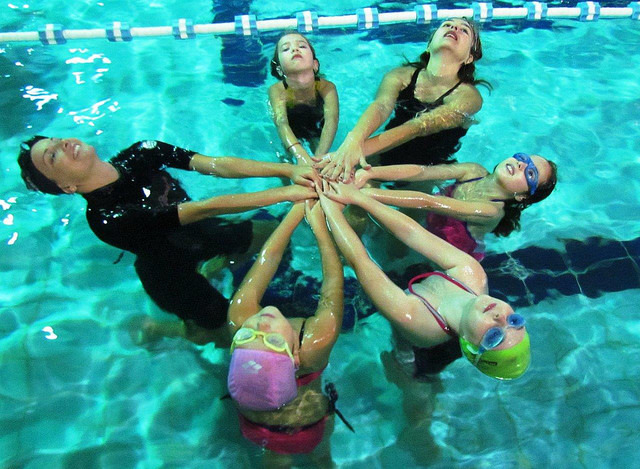 Swimming at the Canada Center. The Canada Center houses a swimming pool, bowling alley, shooting range and the country’s second 7D Max Cinema – screening 10-minute films that take your mind on an extreme adventure via a sensory explosion that mashes a 3D movie experience with extra theatrical effects including simulated rain and wind, seat vibration and movement. 7D Max is a sensory explosion. While families can most definitely spend a day at the Canada Center indoors, feeling the wind while mountain biking/riding in an open jeep/zipping down an omega line is a thrilling experience you can only get outside. 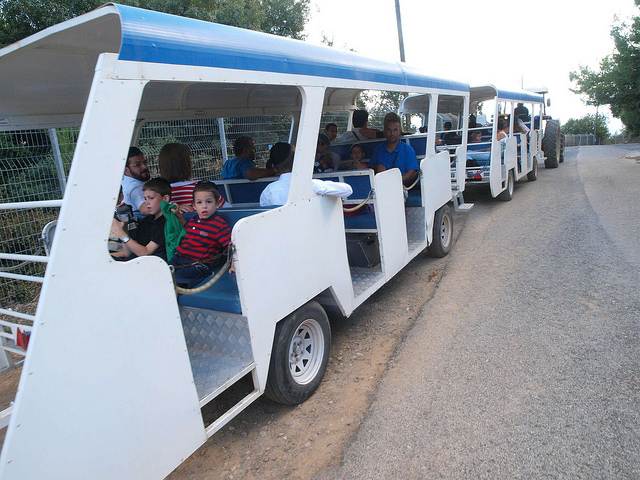 The Galilee and Golan Heights — with their hilly and open areas – have become synonymous with jeep tours, ATV rides, tom-cars, quad runners, and buggy treks. Dozens of operators in the area are ready to outfit families (there are even some with baby car seats) with guided and self-guided tours into the heart of nature. Horseback riding is a popular way to get a feel of the land. A few places offer hour-long or half-day rides, but the Dubi Ranch at Kibbutz Ramot Menashe takes it up a notch with its riding-and-camping trips of a few days. Children age five and up can take part. The fast-growing trend of cycling is alive and well in Israel. Off-road trails wind throughout the country. Families can rent single bikes, tandem bikes or even unicycles on marked trails and guided tours. HaGoshrim Resort’s bicycle center is considered a main authority in this field. 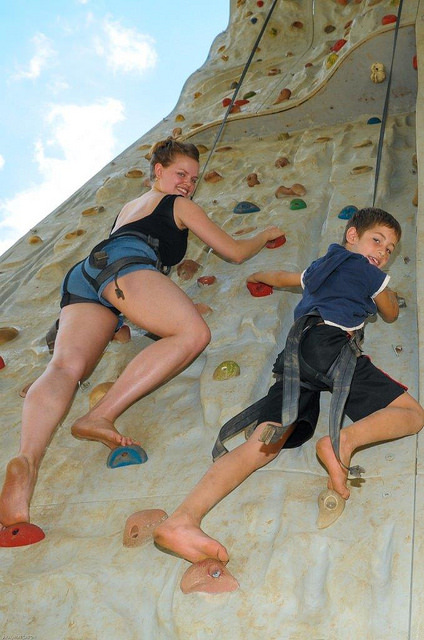 Climbing walls and outdoor ropes courses are also trendy. 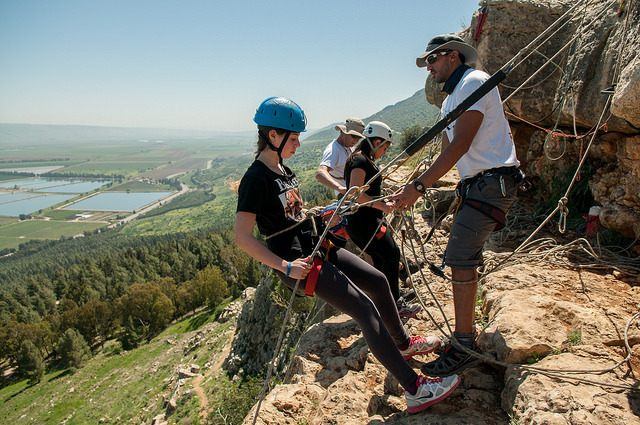 The Top Rope adventure park at Kfar Blum lets kids climb over rope bridges, up its 40-foot-high climbing wall, and then zip-line into the Jordan River. Climbing wall for kids at Top Rope. Or head up to the Hermon Ski Resort, regardless of the season. If there’s no snow, Israel’s only ski site also boasts a bike park (downhill, mountain), extreme mountain sleds, canoeing and a cable car. 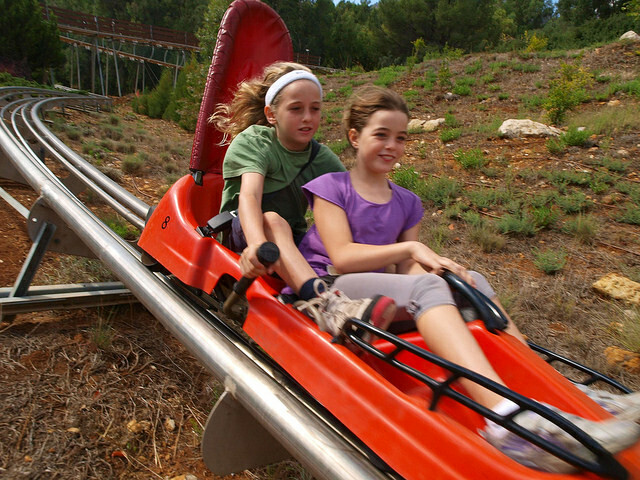 And don’t overlook the Manara Cliff attraction park Although it might not look like much from the road, the site – located at the southern entrance to Kiryat Shmona — will get your kids’ blood pumping and stretch their smiles from ear to ear. Manara Cliff hosts Israel’s longest cable car, which travels along a 1,940-meter route and reaches a height of 750 meters over the Naphtali Ridge. The site also boasts the country’s longest, user-controlled Mountain Slide along a 1,200-meter panoramic course (there’s another 950-meter slide at the Hermon Ski Resort) bungee-trampolines that launch jumpers up to a height of nine meters; a 200-meter omega drop suitable for adventurous children and adults alike; and a rappelling site. For younger kids, a slow moving Cliff train that comes with a recorded guide of the area. With the Sea of Galilee and the Mediterranean Sea easily accessible, water-based extreme sports in the north of the country are also popular. Kids wanting to try out kite-surfing, sail boarding, waterskiing or windsurfing have come to the right place. Both the Kinneret (Sea of Galilee) and Mediterranean are calm enough for beginners but still offer a taste of the extreme. Feel the whoosh of the giant slides at the water amusement parks around the Kinneret. 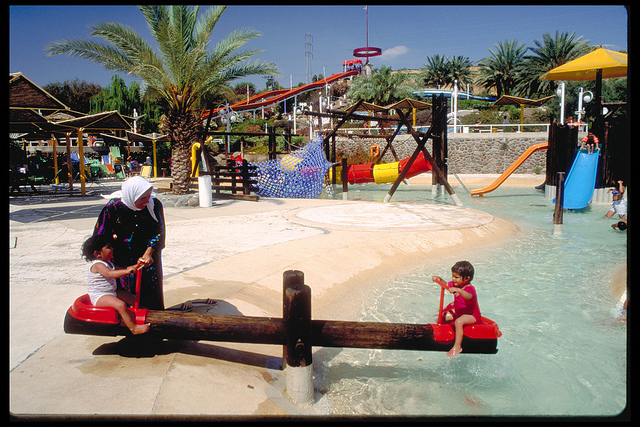 The Luna Gal-Hof Golan is Israel’s biggest water amusement park (open April through October). The Galilee is also known for its kayaking, Kayak season depends on the winter’s rainfall but usually runs April through October. Children age five and up can take part in a family river run. If the Jordan River is high enough, the companies will also offer short floating options for ages two to five. If paddling is not for you, then head over to Achziv National Park to Trek Yam for a thrilling Tornado rafting ride along the Israel-Lebanon sea border. The high-speed motorized rafts reach 45 knots as they glide past the Galilee hills and gleaming white cliffs of Rosh Hanikra. And finally, free-falling through Israel’s skies is one of the most fun adventures anyone willing to do it could experience. However, most air sports – flying, skydiving, hang-gliding – aren’t geared for the younger set. 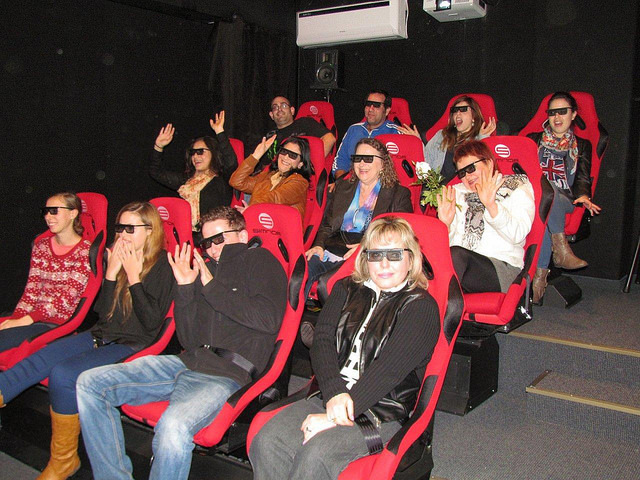 Megido Aviation, an aviation school and a provider of aerial services, gives youngsters a taste of flight. Its “pilot for a day” option includes taking off, ascending, turning, gliding and landing a real plane with a licensed pilot. The cherry on the top: The flight routes give exclusive aerial views of the breathtaking landscapes below.